My original design for the coop didn’t include window boxes, but Jenn asked about it, and I figured I could add them below the two side windows. So this morning I did. 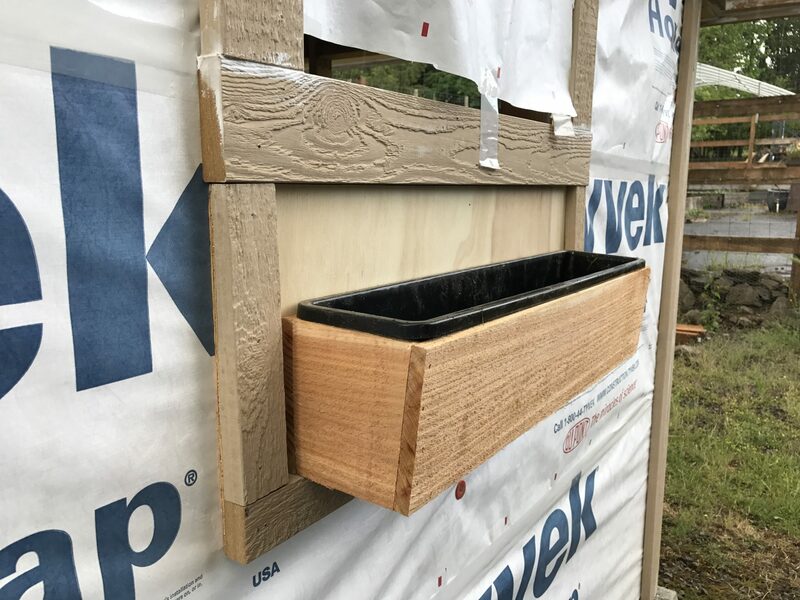 The boxes are cedar, with a plastic liner to help protect the coop and make it easier to plant. 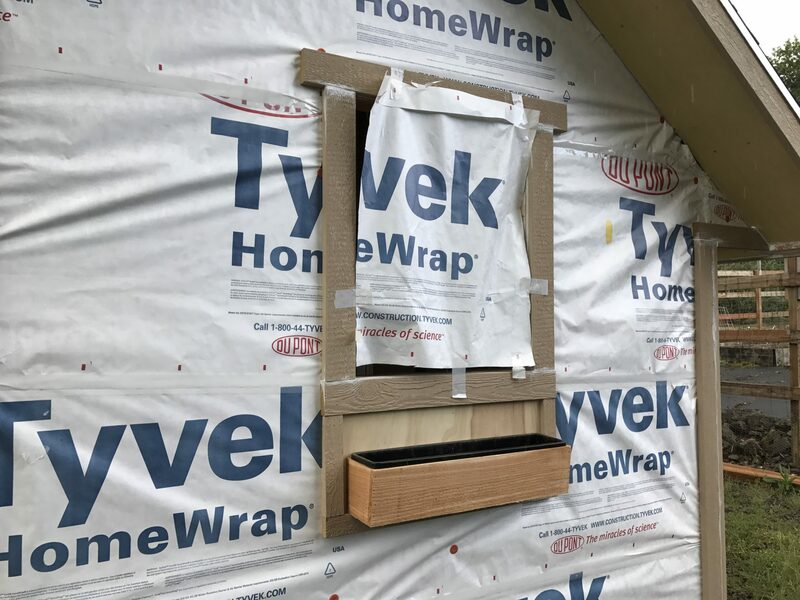 There is a plywood backer to give some vertical space from the bottom of the window, since that will hinge from the top. They’ll not only make the coop look a little nicer, but have practical benefits, if we plant things like mint and such that help to repel flies.